when i moved in with my husband, he had the original Apple II. Hooked up to his 13″ tv. it was magic. 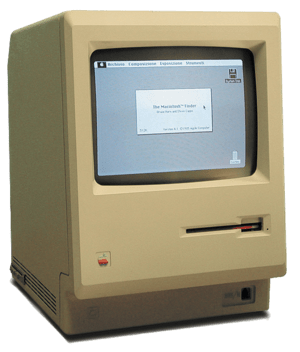 because of his profession (he was a programmer before personal computers), we had every evolution of the Apple through the years… until they became cool, and he switched to homebuilt PCs.